HCK Capital Group Bhd is planning to meet buyers’ demand by incorporating themes into its projects to appeal to the rising number of younger affluent buyers. The company’s executive chairman Tan Sri Clement Hii said so far, they have identified three themes for its projects, namely education, ocean life and entertainment. “The company is not just selling bricks and mortar but a specific lifestyle which is more appealing to buyers who want more than a roof over their heads to come back to after work or study,” he said. Hii said that buyers are more sophisticated and many no longer settle for functional homes, but those which offer concept-based living or has a specific theme. “Work has commenced for H Educity @ Setia Alam and H Educity @ Cyberjaya with the two projects having a total gross development value (GDV) of RM3.1 billion,” he said. HCK’s ocean-themed projects, “Aquacity” will extensively feature marine life, which includes prominent display of coral reefs and aquatic life, such as colourful fish in giant aquariums. So far, the company has a project in Mount Kiara that will sport the ocean theme. 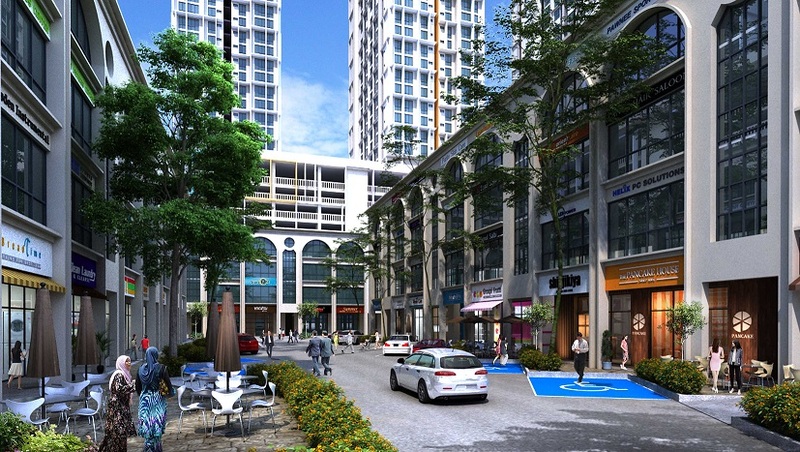 The RM150 million project involves about 120 units of condominiums in the upmarket area. Another project expected to feature the ocean theme is in Petaling Jaya, where a joint-venture is being finalised. The company’s entertainment-themed projects are long term plans involving large tracts of land that could potentially house international theme parks. While talks are still in the preliminary stage, HCK believes there is tremendous potential in such projects, especially for its bigger tracts of land. Besides the listed entity of the HCK Capital Group, the HCK Group also consists of Hii’s private investment vehicles under the HCK Group of Companies. Collectively it has projects with a combined GDV of RM8 billion that will be launched over the next three years. An artist’s impression of the commercial section of H Educity @ Setia Alam.